Pete has created many scores for performance, from chamber works for strings such as the 1996 Songs From A Blazing City through to May Peace Prevail On Earth, which premiered at The Barbican, London in 2003, with the Royal Philharmonic Orchestra and massed choirs. After Rain. A new guitar trio for premiere at The Sage, Gateshead, December 2018. One Foot In Front of the Other. A song commissioned for the Recovery Choirs of the UK, premiere at Tate Modern, London, July 2018.
iForest in Manhattan. As a part of Drums Along the Hudson, the iForest was installed in the ancient woodland of Inwood Hill Park, Manhattan in June 2018. Twilight Chorus for Humans. Premiere at Brooklyn Botanic Garden, June 21st, 2018. A 16 voice choir sing transcriptions of birdsong, they are synchronised via an app and move around the grounds, gradually the independent songs come together, the work finishes with an intimate song with the voices gathered together. Song of the Human. An immersive choral installation using 18 speakers and 16 singers, commissioned Brookfield Place, New York for New Sounds Live, WNYC, hosted by John Schaefer. Hear The Voice Of The Bard for choir and orchestra, performed BBC Radio 3, live in 2014 by the Orchestra of the Swan. The Butterfly Effect film for Chelsea Flower show, 2014. Gut an opera for solo baritone. 2014. 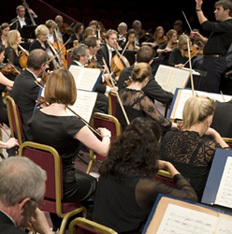 The Far Shore score for English National Ballet, performed by London Symphony Orchestra as part of Great Britain Day, in the presence of British and Chinese prime ministers at Shanghai World Expo 2010, world premiere September 8th 2010. Insomnia Poems Poetry of Steve Dalachinsky with semi-improvised score (jazz, sound design). First broadcast BBC Radio 3 January 2009. Spooky Action commissioned by Miro Dance Theatre, Philadelphia, 2009. World Premiere April 2009, Kimmel Centre, Philadelphia. Roman Mysteries (series 2) co-written with Mike Cross, BBC TV and Little Entertainment Company. Children’s television series with Simon Callow 2007/8. (BAFTA nominated). Roman Mysteries (series 1) co-written with Mike Cross, BBC and Little Entertainment Company 2006/7. Four Bridges A time-structured Improvisation or string orchestra, voices and piano. 20 min. 2005. In The Darkness Of Light multimedia collaboration with Matthew Hamilton, Cochrane theatre London, June 1997. Sospira mezzo-soprano and solo guitar. 1998. Lullaby for Laura Snowball solo guitar. 1999. La Kathleeena solo guitar. 2004.